What role does faith have in creating a good society? An exploration of different people, places and projects across the UK, and the values and faith they share. Through a participatory research process, church and faith-based groups were asked to tell their own story in their own words. What has emerged has been informative and enlightening, with much unheralded work illustrating how care and community building is taking place around the UK. 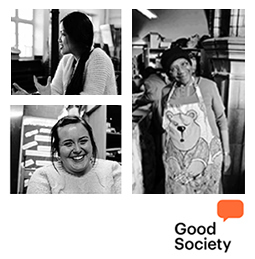 The results are presented in the report, available to download below, and also the Good Society website which includes many more inspirational stories, videos and photos.